Summary: Successful business writers focus on lucrative industries where they can charge top rates. Likewise, they optimize their writing time to write faster, more effectively, with less errors. 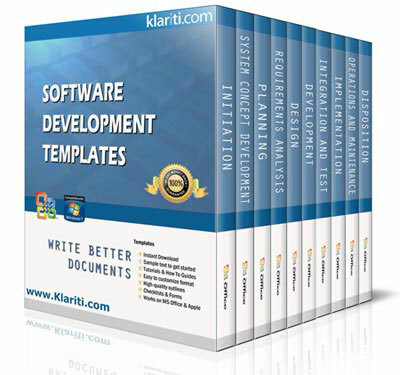 This Klariti tutorial provides a step-by-step guide to write, edit, and automate mundane writing tasks freeing you up to earn more money. A few weeks ago I wrote that I didn’t like business writing when I started out. Well, it took me several centuries to write very long white papers, data sheets, and other sales collateral. Strange word ‘collateral’ isn’t it? The main reason we did this was the ‘assumption’ that customers preferred lengthy documents. These doorstoppers covered all aspects of the product/service. Sure, it had its place. But not all documents have to land with a thud. It’s the same with writing business plans. It doesn’t have to be fifty pages if you can get it under twenty and keep the material focused. When I worked in London, I got paid by the word. I was writing case studies and white papers for the Financial Services. So, I was paid by the word. Later I was paid by the article. And the articles were 750 words minimum. But, above that, you didn’t get paid extra. I mean any type of writing? Business writing, proposal writing, technical writing? If you do, you probably get paid by output. The more you produce, the more you earn, right? If you do, here are some ways I write more words per day. My aim isn’t to win the Nobel prize for literature. I make money writing words. I type all day long. Train yourself to write short, punchy sentences. Put your text on a diet. You’re not at university now. In the real world, you’re rewarded for brevity. A 300 page thesis is fine for your professor. For busy customers, thirty words is fine if it does the job! Choose the correct word and stick with it. Don’t change words to make your document more ‘interesting’. Readers will often dip into a document at different pages; very few read the entire document, report or proposal. Do your documents really need screenshots? If not, don’t add them. Don’t add screenshots to fatten up a thin document or just to increase the page count. Turn off the Favorites menu. No one needs to see your favorite websites. Likewise, you may want to turn off or delete icons near the lower status bar. Remove the URL if the web address is private. We’ve all been guilty of this one. Active voice gives your writing more energy. It tells you, the reader, what’s going to happen next. Passive, in contrast, fudges the issue slightly. Saying that, there are times when you should use the passive voice. When you want to avoid blaming the reader (for example, if the application creates an error when they enter data incorrectly) or if you want to tone down a sensitive issue. Don’t user uppercase for emphasis. It’s a cliché that has crept into technical writing and needs to be monitored. Lowercase is fine and usually correct. I’ve added this, even though it’s not to do with writing per se. Most business and technical documents don’t require the page number on the first page. What do you do to get documents out the door that bit faster?